Here at Stohlman Volkswagen, we have a vast inventory of Volkswagen vehicles for sale – including the iconic Volkswagen Tiguan– but we also have a great selection of used vehicles for sale, many of which are non-Volkswagen models. For those Alexandria drivers looking for a vehicle that’s inexpensive, that’s accrued few miles, and will surely hit the roads of Fairfax with ease, you’ve made a good choice. Check out our inventory below before you contact us today. 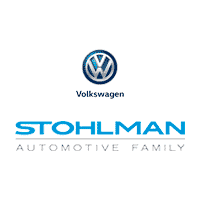 Why Buy from Stohlman Volkswagen? Not only do we receive impressive reviews from drivers in Tysons Corner and beyond, but we’ve also got an extensive selection of pre-owned vehicle specials. We’re a Tysons Corner community player, and we work hard to deliver speedy and reliable service. So once you’ve decided on a vehicle between 10k and 20k from our inventory at Stohlman Volkswagen, contact us today. You’ll be out the door in an affordable car quickly.